Monitor ticketing related metrics specific to each of your contacts in your helpdesk system using "Customer Activity View" inside HappyFox Reports. This Article pertains to "HappyFox Classic Reports"
Available on all pricing plans. Where to Locate the "Customer Activity View"? 1. 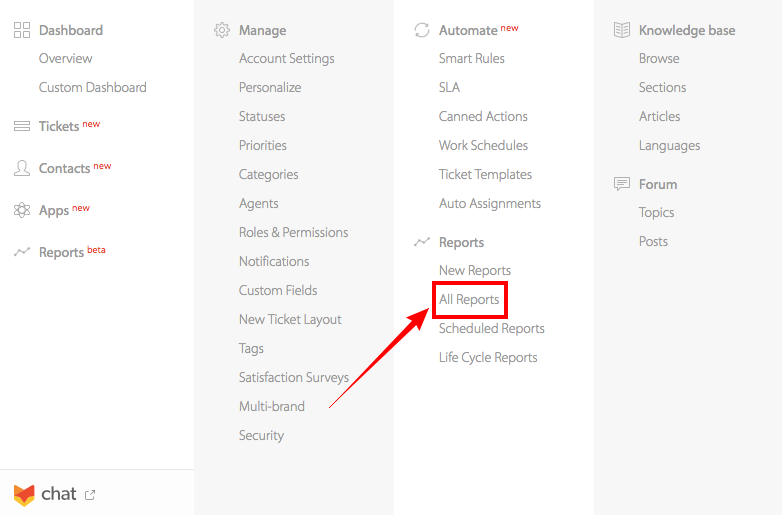 Login to your HappyFox helpdesk account and go to Reports (Classic) >> All Reports”. 2. Select the appropriate one from the list of available reports. 3. Scroll down to the Tabular View and click on the Customer Activity View icon. The number of tickets created by the corresponding contact. The number of pending tickets against the corresponding contact. The number of completed tickets against the corresponding contact. The number of replies sent by agents to the corresponding contact. The total time spent by all help desk agents working on the tickets raised by the corresponding contact. To sort the data according to any of the parameters, click on the relevant column head. You can also export these values to CSV or MS Excel files by clicking on the respective button.